It can be difficult to find a large dog harness to fit your big furry friend. EzyDog offers several styles of dog harnesses for large dogs and no matter the size or shape of your dog we are confident that one of these top selling styles will be the perfect match for your dog. The award winning Chest Plate Dog Harness uses a unique EVA chest panel which forms to your dog’s chest for a custom fit. This is the perfect harness for hard pullers, running and cycling with your dog. An extra large dog harness, this comes in sizes up to a 2XL, so this harness can fit the largest of breeds. It even comes with a complimentary seat belt restraint! The Convert Harness is a utility harness that can be converted into a backpack by adding saddle bags and customized by adding side badges with messages. 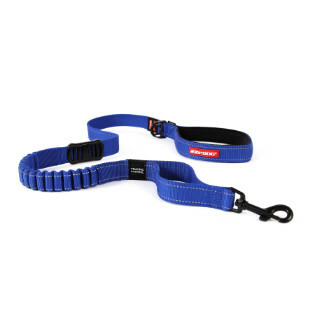 This harness goes up to XXL and is a fantastic dog harness for large dogs. It features a magnetic handle, reflective properties and a simple one clip fit system. The Quick Fit Harness is as simple to fit as a dog collar with all of the benefits of a harness. This harness simply takes the fuss out of putting a harness on your large dog. It features reflective stitching, a grab handle and a dedicated ID Tag attachment. The XL is a generous sized harness that fits most large breeds. 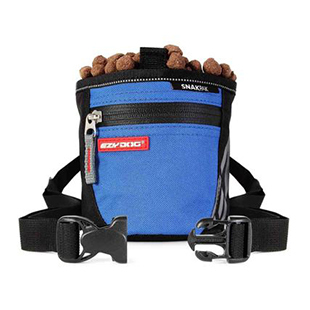 Rest assured that you will be able to find a high quality harness for your large dog with EzyDog. We are looking out for dogs of all sizes with a variety of styles and colors to choose from. Safety, fit and comfort are always priority number one when developing products for your best friend.